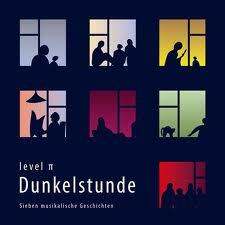 In the dark days of January 2012, Uwe Cremer (aka Level ∏) released his third full-length solo album Dunkelstunde, seven magical tales to while away your quiet and sleepy winter evenings. Starting with "Winterabend," Uwe sits you down in a comfortable chair at the window of your darkened living room, illuminated by a single lamp, as he relates his mystical yarns through electronics and soaring electric guitar solos. The disc starts out strong and does not let up until the end. All seven tracks both demand and command your attention through Uwe's mastery of Krautrock and progressive music resulting in the perfect amalgamation of early Tangerine Dream, Klaus Schulze, Ash Ra Tempel, Jane, Eloy, the Moody Blues (Days of Future Past), et al. In point of fact, a few of the tracks ("Der Flug des Fernraumschiffs," "Orange Temple," and "Tougenkyou") could have found a home on any Tangerine Dream or Edgar Froese solo release before he and his mates dropped the ball and started focusing on New Age and movie soundtracks. Moreover, to top it all off, Uwe adds to the retro and enigmatic feel of Dunkelstunde by incorporating scratchy vinyl and turntable sounds to his magnum opus "Orange Temple." I could go on, but why bother? You need to hear this disc for yourself, even if you are only tangentially interested in Krautrock.